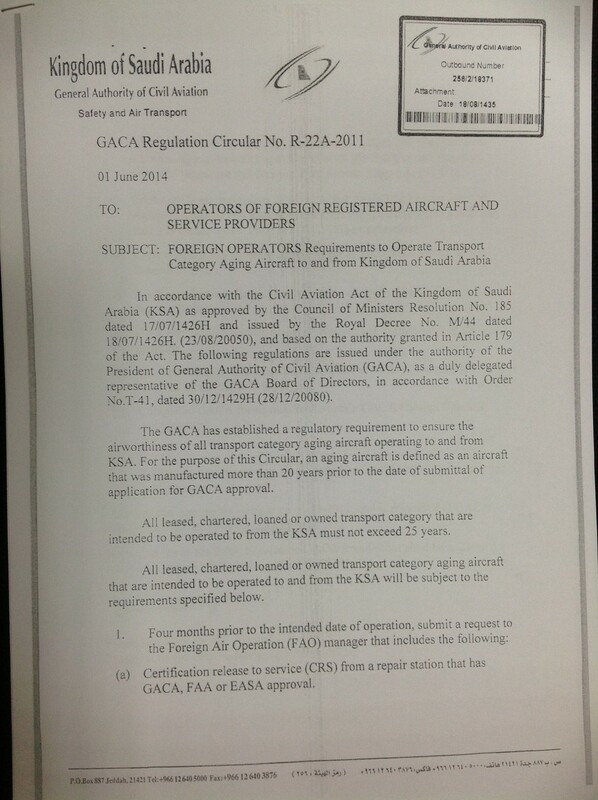 In accordance to Civil Aviation Act of the Kingdom of Saudi Arabia (KSA) as approved by the council of Ministers Resolution. 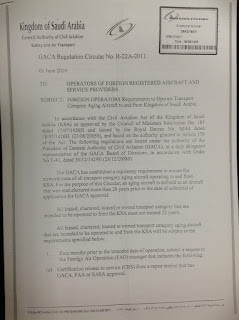 The General Authority of Civil Aviation (GACA) has established a regulatory requirement to ensure the airworthiness of all transport category aging aircraft operating to from KSA either leased, chattered, loaned or owned transport category that intended to be operated to from the KSA must not exceed 25 years. Part of the reason for banning such aircrafts is that Saudi Arabia is very concerned about the age of aircraft flying in from Nigeria, as a result of Nigeria not having the facilities to repair or maintain such big aircrafts and as such the plane takes off and makes an emergency landing, leaving the pilgrims stranded at the airport for days while waiting for the plane to be poorly repaired. Another reason for the ban is to also avert unforeseen circumstances such as an air disaster which will lead to loss of many lives. It has also been revealed that the Nigerian Hajj operators have aircrafts that are below 25 years old which are required by Saudi Arabian government but because Nigerian government has been careless in the past, the Hajj Commission including Nigerian Civil Aviation Authority, NCAA has always supported the operation of older aircrafts for their selfish gains just like what is going on now. 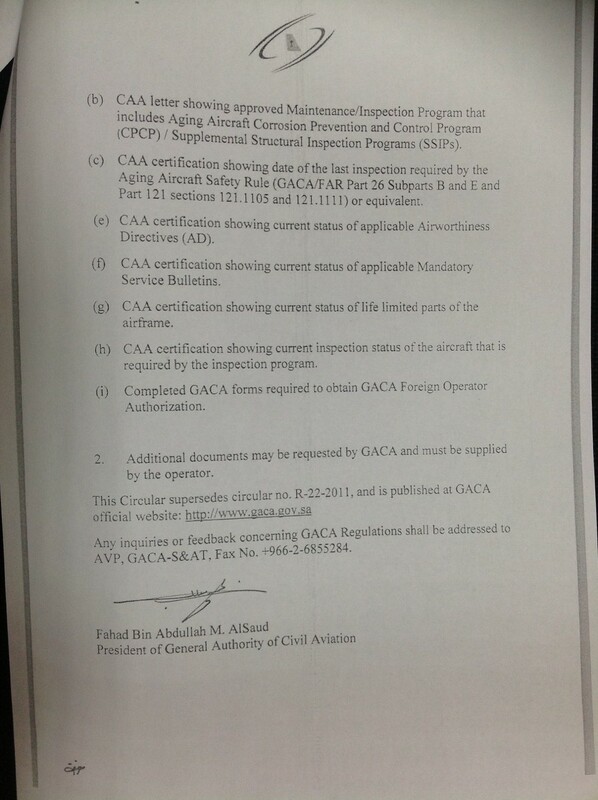 The Hajj Commission and NCAA benefits from the Hajj operators. They have even gone ahead to apply for a waiver from the Saudi Arabian government at the expenses of the safety of Nigerian Muslim Faithfuls. 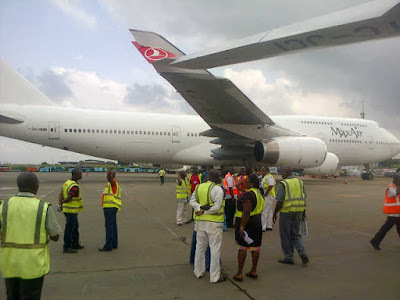 The Nigerian Hajj operators are planning to use air-crafts between 27 to 32 years old to fly Nigerian Muslim pilgrims which is B747-200 series and they will end up leasing the younger/newer air-crafts to other countries that adheres strictly to Saudi Arabian government regulations and have made up their minds to observe it at the expenses of Nigerians that is to say “anything goes in Nigeria” while countries that cherishes the lives of their citizens insists on adhering to the regulation. Concerned Muslim faithfuls are not happy with the Nigerian Civil Aviation Authority NCAA and Hajj Commission. This is because it is on record that the number of air-crafts below the age of 25 years as stipulated are available to carry Nigerian pilgrims to the Holy land. Max Air has a B747-400 that was manufactured in 1991, Kabo Air has two B747-400 that was manufactured in 1993/1998, Med-View has B777-200 that was manufactured in 1997 while the airlines can source for more air-crafts within such stipulated age brackets, it is however clear that those number of air crafts can air-lift 50,000 people comfortably within the stipulated time of about 6 week. Flynas, an airline from Saudi Arabia has already been given 16,000 pilgrims leaving Nigerian carriers with 50,000 pilgrims. It is our belief that the President Buhari Administration will fight corruption going on in the Hajj Commission and Nigerian Civil Aviation Authority, NCAA. Among the air-crafts that are available, each B747-400 can air lift 15,000 pilgrims in 25 days while B777-200 can airlift 9000 pilgrims in 25 days. 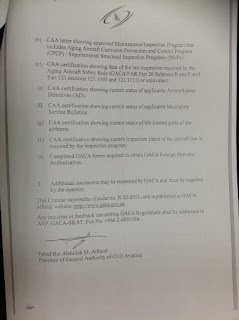 If those air-crafts are available in Nigeria and they meet the Kingdom of Saudi Arabia requirements, why are Nigerian Civil Aviation Authority and Hajj Commission asking for a waiver from Saudi Arabia to allow Nigerian Muslim faithfuls to be flown by older air-crafts? Finally, a flight from Indonesia to Saudi Arabia is 11 hours at the cost of USD1800 per pilgrim while pilgrims from Maiduguri going to Saudi Arabia is 3hours 30mins at the cost of USD1700. This means that Muslim faithful in Nigeria pay more than any country in the world yet our operators are lobbying to fly them with older air-crafts. Garbage. The author knows nothing about the maintenance of aircraft. The author does not know that BOEING has stated the airframes are easily good to 35 YEARS. This is a sensationalistic, click bait, piece of garbage. The airframes in question are often maintained in the USA to FAA regulations. The same set of rules and laws as the BOEING facility in Riyadh. When was the last time there was a "dangerous" situation at Saudi Arabia, because the plane was manufactured before or after a particular year? NEVER. My apologies to the author, but this is above you. Stick to something less complicated than aircraft maintenance policies.